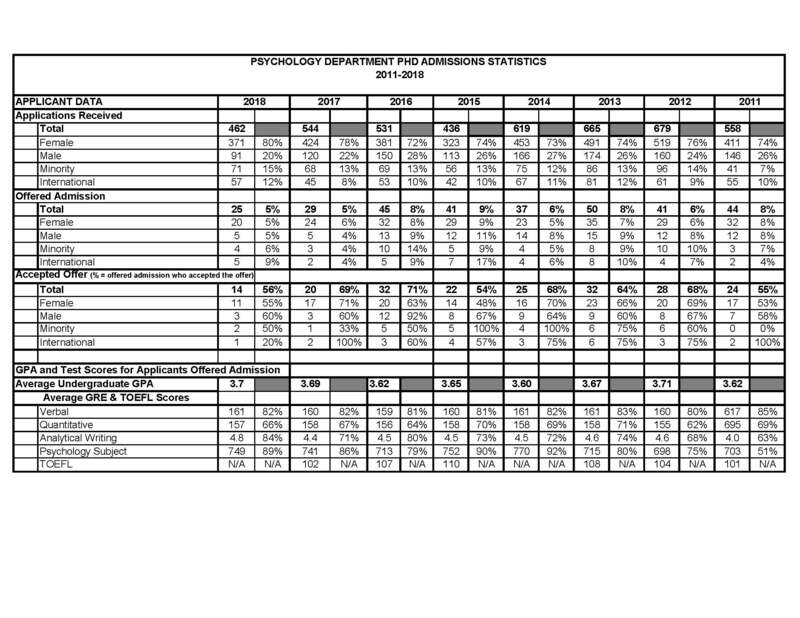 Note: This admissions data is based on how many total applicants applied to the Psychological Sciences PhD Programs as a whole. We do not have a cut off for our GRE scores, so this data may give applicants an idea what scores are generally accepted. Scores are approximate averages.